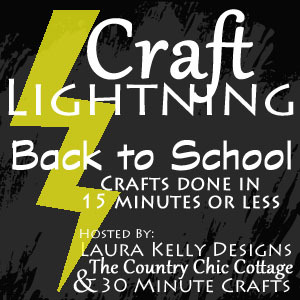 Can you believe that we are talking about Back-to-School already? I know that most of you with kids probably don’t start back until August but my kids go back in 2 weeks! EEK! They are in a year round school and get a month off in the summer and then 3 week breaks in the Fall, at Christmas and in the Spring. The schedule works out well for us but it is always hard for me to get in the Back-to-School mindset in July. This year, my son starts kindergarten so both my kids will have to get up and ready every morning. I’ve been trying to think of ways to make our mornings run smoother and one thing that helps is when we do a lot of prep work the night before. 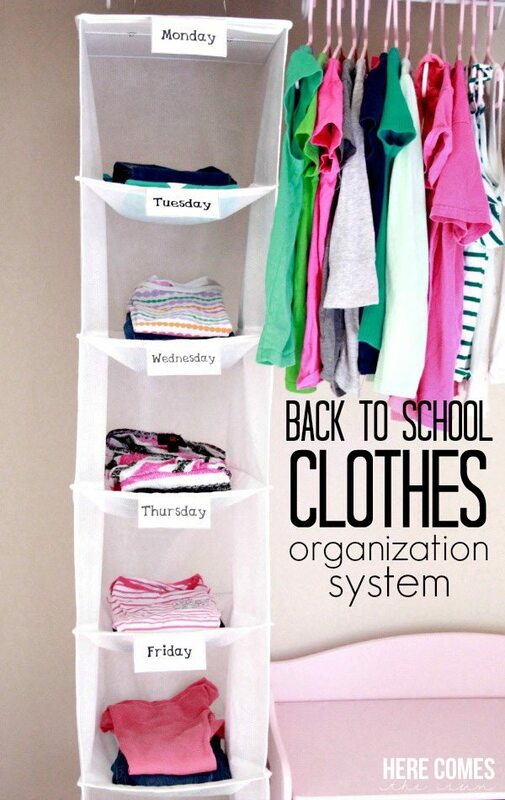 This year I created a Back to School Clothes Organization System to help with the morning rush. This system is really simple…anyone can implement it. All you need is a hanging clothes organizer. If you can’t find one, you can also use empty milk crates or sturdy cardboard boxes turned on their sides. The goal is to create 5 cubbies…one for each day of the school week. Then on Sunday, take a look at the weather forecast for the week and have your child pick out 5 outfits. 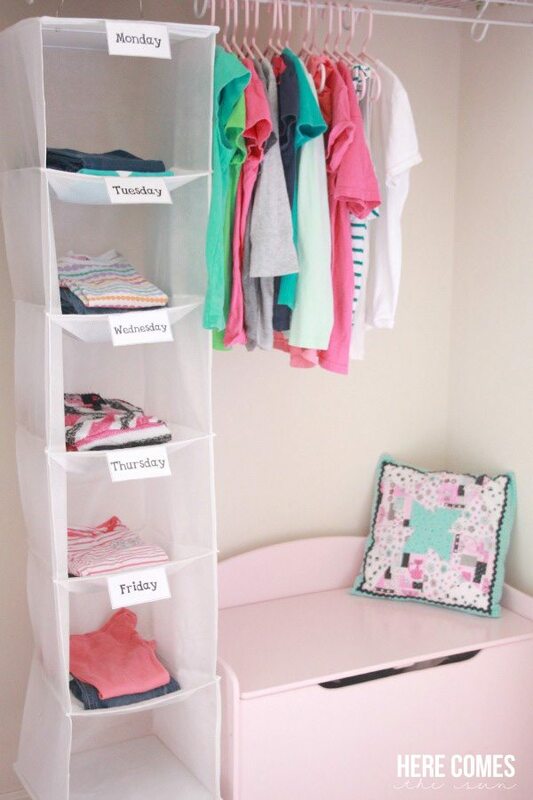 Place each outfit in one cubby so it is easy for your child to grab the outfit in the morning and get dressed. I’ve created some printable tags for you to use on the cubbies too! You can download the free printable Clothes Organization Tags here. Please note that the tags are for personal use only. 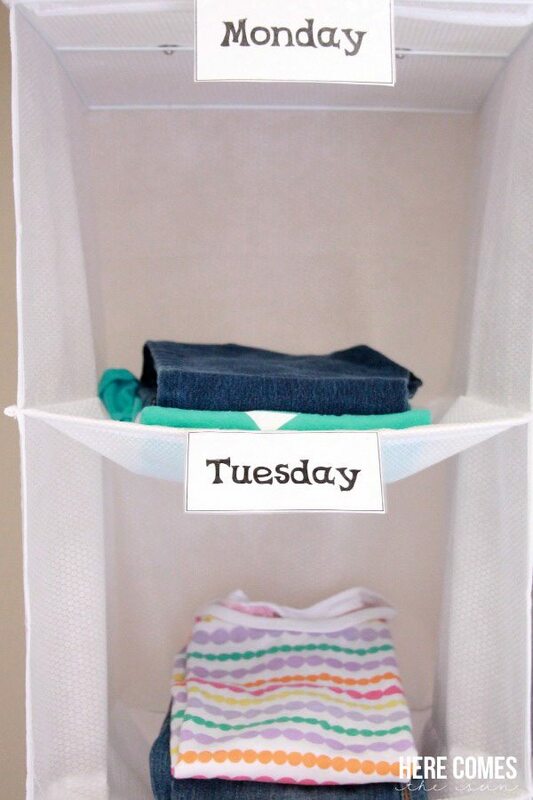 Print out the tags on cardstock, laminate them and attach to the clothes organizer with tape. I used clear packing tape to “laminate” mine. This step is totally optional but it will help the tags hold up longer. No more “I don’t have anything to wear” whining in the mornings because the clothes will all be laid out ahead of time. Hopefully this helps you get out the door quicker on those hectic mornings.